It is Saturday and another week is over. It has been a hectic week. It started off with Hubby going to Bahrain for a project we are doing there. He left on Tuesday morning and when he left I had my week all planned out – peace an quiet and loads of time to do nothing! I went to Women’s networking diner / evening on Tuesday night. About 60 of us meet once a month at a restaurant. There is normally a guest speaker and a charity supported on the evening as well. With Hubby gone, I was not looking at the time all evening so was much more relaxed. I woke up early on Wednesday morning (4.30am in fact). I couldn’t go back to sleep so I got out of bed and went into the office – I planned to do a couple of hours work. Kids are on holiday so there is no school run either. (Isn’t it funny how you spend your life wishing you could sleep in and when the occasion presents itself you can’t). My PC had downloaded some updates over night and wanted to do a reboot. So while this was happening I looked around for something to do and suddenly felt the urge to clean out our storeroom. 2 Hours later I had finished and was really impressed with myself – it was like I had achieved a personal milestone. I then went and had a long relaxing bath. A friend called on Monday evening asking for some help on a tender document for AFCON 2013 that had to be submitted by Friday afternoon. Me, being a nice person, kindly agreed (sucker!). I had already requested all the relevant details but of course I had still received nothing by Wednesday morning. All I really had to do was compile all the information ready for submission – easy peazy. I re-read the tender documents and took down the relevant notes and sent off some more emails nagging people for the information. I didn’t realize what a big job this would be. Firstly there were 2 tenders and not 1 and they wanted 1 original and 5 copies of each and there were 2 parts to each tender. So this amounted to 24 files of information that had to be compiled and copied and punched and sorted etc etc. But as I didn’t have any of the information yet from the team, I couldn’t proceed. I met some associates at noon on Wednesday at a HP demo centre. They were considering buying a Latex Printer and wanted my opinion. So I spent an hour drooling over this machine. 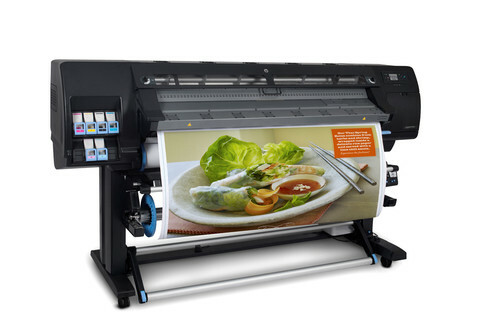 Watched it print and have decided I really want one – no idea what I would do with it but I want one! Then back to the office to see if anyone had bothered to send me any information for the tender documents. Needless to say, my inbox was empty. So I sent off some more emails begging. I had my weekly meeting with my IT staff on Thursday morning. Then it was back to concentrating on the tender. I was now getting annoyed as people were not sending me the information I needed. Finally some stuff started coming through on Thursday afternoon. At this point it was crunch time. In order to get the 24 files out by Friday, I would have to work late. I eventually seconded Son no 3 and 4 to help and we worked until midnight on Thursday copying and filing the information we had. There was still a lot missing but nothing more could be done. I was promised the balance of the information by 8am on Friday. I collected Hubby from the airport at 11am on Friday and rushed back to the office to finish the tender documents. The rest of the information came in dribs and drabs until 2pm on Friday. At this point I was in crisis panic mode. I eventually got everything boxed up and someone collected the boxes to deliver. She delivered the boxes 10 minutes before the deadline. Whew! My body was now in agony – I have Un-diagnosed Soft Tissue Rheumatoid Arthritis in my hips. I take a pill for it every second day and it is usually not a problem unless I push myself physically. I could barely walk I was in so much pain. So Friday evening was spent uttering the words OW every time I moved. Feeling much better today and plan on spending the weekend doing nothing! My Son in Dubai shared this with me and I had a good giggle. I thought I would share it with you all as well. I am sure some of you have probably seen this already. This is the fourth part of my Boys will be Boys theme. This takes place in December 2007. We went to Dubai for our annual vacation. In fact it was more like a reward for Son no 4. We have always had this deal with our kids that when they are able to read “Cat in the Hat” by Dr Seuss, they could pick ANY present they wanted. Son no 4 had completed reading the whole book out to us a few months earlier (he was in his first grade at school) and he wanted to go Skiing as his present. As we had never been skiing before, we didn’t want to go to a skiing resort only to have the kids hate it. So we suggested Ski Dubai and Son no 4 loved the idea. We also have family who live in Dubai so it was a good excuse to see them as well. 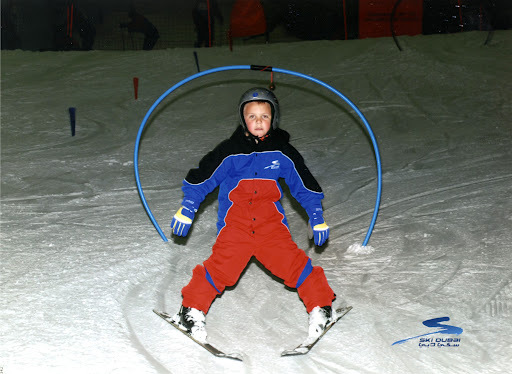 The kids spent about a week going for daily skiing lessons and loved every minute of it. However, Son no 4 had been going to the same group lesson and as he was much younger, he did not “graduate” the course they were taking. 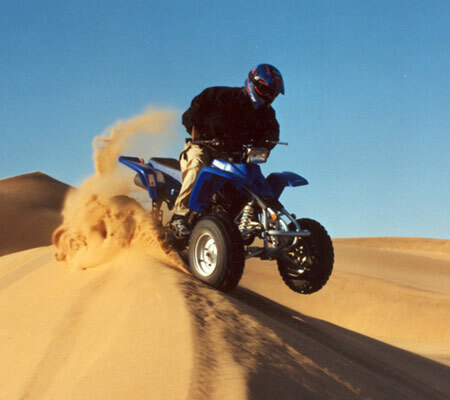 My other 3 sons really wanted to go quad-biking in the sand dunes and there was only one day left of our holiday. We arranged for my Sister-in-law to take Sons 1 to 3 quad-biking and hubby and I arranged for a private skiing lesson for Son no 4 to help him “graduate” on the last day. While hubby and I are sitting at Sky Dubai waiting for the lesson to finish, we get a call from my Sister-in-law. She informs us that Son no 2 has fallen and hurt himself and they were on their way back to the city to the hospital and can we meet them there. Hubby and I are obviously in a panic. We have no idea how bad he is hurt and they were way out in the desert so it was a long trip back into the city. In the meantime, there is nothing we can do until they get Son no 2 to the hospital and we had to wait for the skiing lesson to finish anyway. Eventually the lesson ends and my Brother-in-law meets us and takes us to the hospital. There is Son no 2 in pain – he had fallen off the quad bike and had a bone sticking up out of his shoulder. (It looked as bad as it sounds). So we waited in the emergency room for the relevant doctors and x-rays etc. Eventually we got to see the Orthopedic Surgeon and he explained to us that Son no 2 had broken his clavicle and he needed surgery to repair it. He then goes on to recommend that we go back to South Africa and have it done back home. He assured us that Son no 2 is in no danger and with the relevant pain medication, he would make the trip without any problems. By now it was late afternoon and we were due to return to South Africa the following morning anyway so we agreed. We didn’t really want to commit to what could be a costly experience, not to mention that we were a little reluctant to put our faith in a foreign medical system. The surgeon stabilized the injury and prescribed the relevant medication. 2 Days later back in South Africa Son no 2 was operated on and a metal brace inserted to repair his clavicle. His had the brace taken out a few month later and he is just left with an ugly scar across his shoulder. I read a post this morning by a fellow blogger about sibling rivalry so thought I would have a rant as well. On an odd dated day – Son no 3 gets to sit in the front seat of the car. However, it is also his day to do the chores. 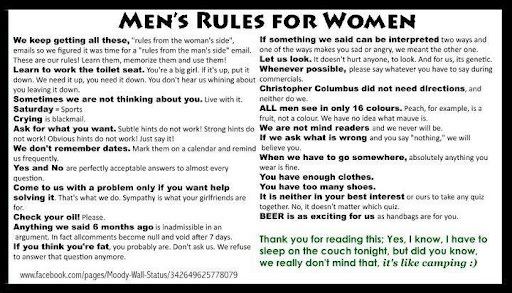 On an even dated day, the rule applies to Son no 4. Easy to understand and this has worked for many years. We all get ready for school and I go out to my car to do the morning school run – only to find Son no 3 is sitting in the front seat. Son no 4 is standing next to the car demanding he gets out. Son no 4 sees me coming and of course comes hurtling towards me, insisting I tell Son no 3 that it is not his day and he must get out NOW! So I get in the car. I politely tell Son no 3 to please move into the back seat. He refuses! 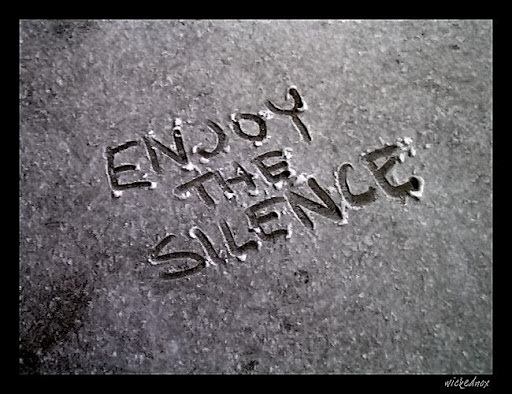 So I close my eyes and sigh! Just what I need first thing in the morning. I explain to him that there is a rule – and he knows the rule – it has been in force for many years. So he snarls at me – “it is a stupid rule – it wasn’t in place for Son no 1 and 2 – so why must we put up with stupid new rules”. And he still refuses to move. So I had to get angry and demand he moves or else! He finally moved. And I drove them to school in absolute silence – perhaps there is a God after all! Just recently I have lost all interest in cooking. It must have a lot to do with hubby having had a gastric bypass about 5 weeks ago. He can now only eat literally 2 tablespoons full before he has had enough. So all the big meals are out! 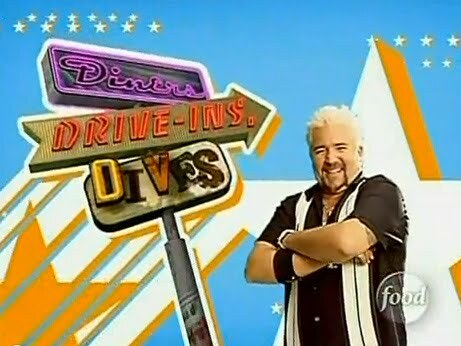 One of hubby’s favourite TV programmes is Diners, Drivings and Dives with Guy Fieri. We are both sitting here drooling at the mouth watching some of the episodes. If only I liked cooking more or was better at it. Perhaps I would be inclined to try experiment in the kitchen! It is Father’s day in South Africa and certain other countries on the 17th – so to all the Father’s out there – hope you have an awesome day …. Son no 3 is a teenager – so I am obliged to listen to his “music” in the car in the mornings, otherwise I am not considered cool or with it or whatever term they use nowadays. Me: What are we listening to? Me: So who is singing? Me: So is she part of Deadmau5? 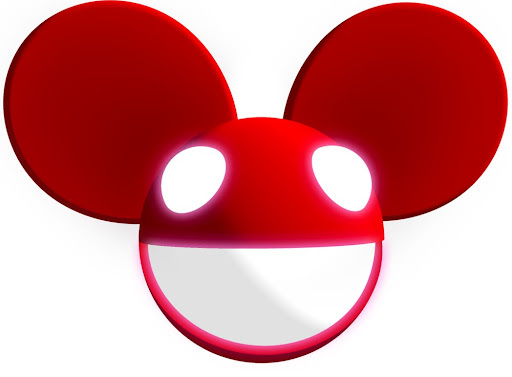 Son 3 (now annoyed with me): I’ve told you before – Deadmau5 is a DJ – he doesn’t sing – he only does the background music! So now I am really confused – in my day that used to be called a Composer – have I missed something?